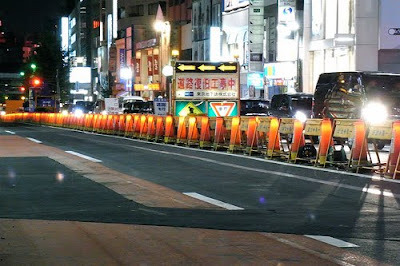 Anyone know if the construction on Meiji-dori finally ended? If not, day-um, baby, people were already complaining about it a year ago. If so, great, but you'll have to steal your illuminated traffic cones elsewhere.